Are classical instruments crafted today better than ones of yesteryear? The concept of development and progress in the arts isn’t an issue of better or worse, but more a conversation about the trajectory and direction of aesthetic concepts in relation to what came before. What are music trends accepting and what are they rejecting? When it comes to the construction of musical instruments, one could argue that scientific advancements that led to accurate scales, ease of playability, more resonant sounds and richer timbres would equate to “better.” But we might lose a sense of intimacy and authenticity that comes from performing compositions in the instruments for which they were written. Mozart’s piano had two fewer octaves than a modern piano, and was much lighter and smaller than modern pianos. In the Baroque Era, there was no such thing as a violin standard. Strings were different; the bow was different. And, as a result, the sound is different. These variants offer another set of artistic tools. Which is why Quatuor Mosaïques performance on Oct. 17, 7:30 pm, at The Menil Collection is somewhat like time travel back to the times of Haydn, Mendelssohn and Beethoven. To get you in the mood, here’s Da Camera’s listening guide that includes our favorite period ensembles and artists. The Toronto Star described Rachel Podger’s artistry as an “intoxicating combination of power and grace.” This Baroque violin professor at the Guildhall School of Music and Drama and the Royal Welsh College of Music and Drama performs on a violin made in Genoa in 1739 by Pesarinius. For those who consider the recorder to be an instrument that belongs in elementary school music classrooms, Danish-born virtuoso Michala Petri will prove you wrong. While in the beginning of her career she focused on baroque compositions at the height of the instrument’s popularity, new works have been written for her that illustrate just how flexible the recorder can be at the hands of a master. Theorbo, the lirone, the tiorbino and the arpa tripla — many of these are not in the vocabulary of even the music cognoscenti. Houston audiences enjoyed this French-based group that specializes in 17th-century French and Italian music when Da Camera presented them in 2013. If instruments have changed, has the use of the voice changed as well? The Orlando Consort — last in Houston in 2016 for a program that juxtaposed musical prowess to the silent film La Passion de Jeanne d’Arc directed by Carl Theodor Dreyer — answers that question. 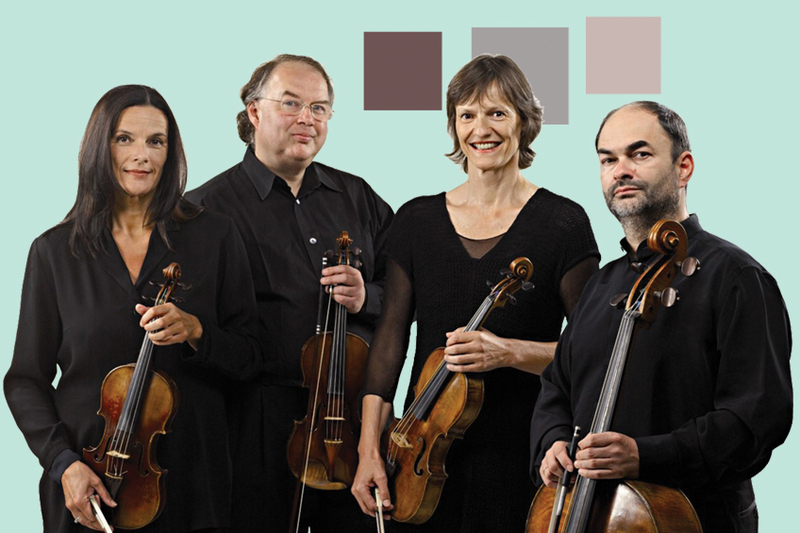 We couldn’t conclude a list of our favorite early music groups without mentioning Quatuor Mosaïques. Purchase tickets to the Oct. 17 performance here.